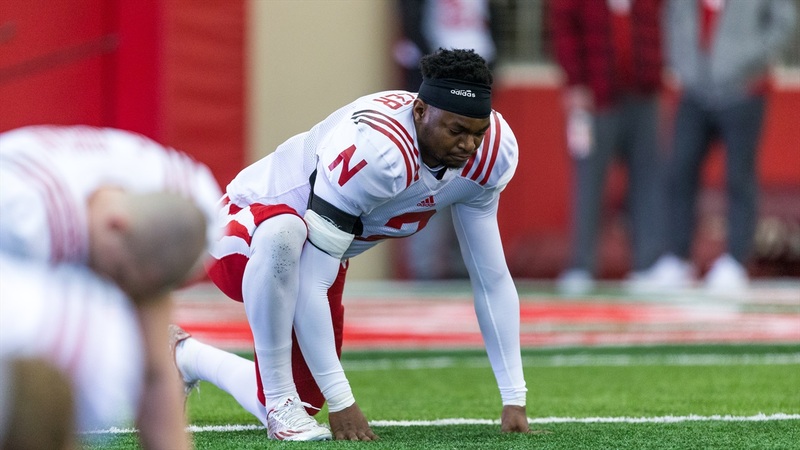 One of the many position switches the coaches have made thus far during Nebraska’s fall camp has been moving redshirt freshman Tony Butler from safety, one of the deepest positions on the team, to corner where injury and recruiting misses have left the Huskers a bit shallow. According to safeties coach Scott Booker, the move was spurred on both by the depth concerns and Butler’s abilities. “We have a situation where we’d like more guys there, but we think that Tony’s attributes right now will help us at corner,” Booker said. Butler is a 6-foot-2, 210-pound Ohio native who was pegged as a safety once he arrived in Lincoln despite being a stand-out corner for one of the top high school football teams in the country. However, a shoulder injury cut short his freshman season before it even began. Now, he’s back at his original position and is looking to play catch-up. Butler’s dimensions are similar to current starter sophomore Lamar Jackson (6-foot-3, 210 pounds) as well as former stand-out Stanley Jean-Baptiste (6-foot-3, 220 pounds), who used a strong senior season to vault himself into the second round of the 2014 NFL Draft. Butler isn’t necessarily the pure athlete that Jackson is, but Williams said he has plenty enough speed to do what they are going to ask him to do. After Tuesday’s practice, Williams called redshirt freshman Dicaprio Bootle the “third starter” at cornerback along with Jackson and Eric Lee Jr., but the competition never stops and depth is always a good thing. Butler’s size and length make him unique amongst a group that consists mostly of players that measure in at 6-foot or under (other than Jackson). Now settled in at cornerback for the whole season, Butler has to focus on getting back up to full speed and adjusting to the speed and physicality of the college game. If the Huskers have any more bad injury luck at corner, Butler could be counted on to play a role down the line.